What Is Your Personal Skincare Schedule? Posted by Joyce with Comments Off on What Is Your Personal Skincare Schedule? How often should you get a facial, or any other professional skin care treatment? The answer to that question is different for everyone! Simply put, your personal skincare needs depend on a variety of factors. The first thing to consider is why you’re getting a facial. If you are struggling with acne or other skin issues, then frequent facials provide the deep cleaning and intense care your skin needs. However, if you’re looking to maintain a fresh-faced glow, the focus changes. To understand that, you need to understand how the skin is constructed. Our skin has 3 main layers: the subcutaneous layer, the dermis, and the epidermis. Cells are “born” deep in the dermis and work their way to the surface, or the epidermis. 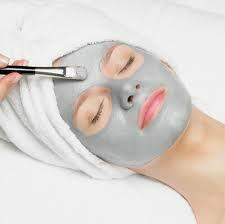 A facial helps the epidermis shed the dead, dry skin to reveal the softer, healthier skin below. But remember your epidermis changes as your body changes. When you’re in your teens, the epidermis sheds and renews itself about every 16 days. As you get older, however, the renewal cycle lengthens. Therefore, getting a facial every 4-6 weeks can help you maintain that fresh-faced look all year long. First, the skin on your face tends to be thinner than the skin on other areas of your body. This means it is more delicate and more susceptible to damage. Also, your face works harder than you think. It takes many muscles to make most common facial expressions, so the skin on your face is always moving and stretching. If you don’t properly care for it, it will look fatigued and overtaxed. Finally, your face is rarely entirely covered, so that means it is exposed to damage from the sun, wind and cold or heat. Whether you save up for twice yearly facials, or want monthly treatments, building a relationship with a licensed esthetician is a must. Your skin changes constantly, as does your environment, your eating habits, your stress level… you get the picture. Being able to discuss all the variables and have your treatment tailored to your skin AND your lifestyle is priceless. We can help you find the balance that will help you keep your skin in top shape and your look fresh. To schedule an appointment or to learn more about our skin rejuvenating facials, please contact us at 702-496-2066 or go to privyskincare.com.